Tucson resident Jonathan Walters and Ashley Menne of Surprise both posted repeat victories of the Boys and Girls Championship Divisions respectively at the 25th annual Tucson Conquistadores Spring Classic held April 22-23. Walters finished a whopping 12 strokes clear of the field with a 12-under-par 64-64—128 performance. 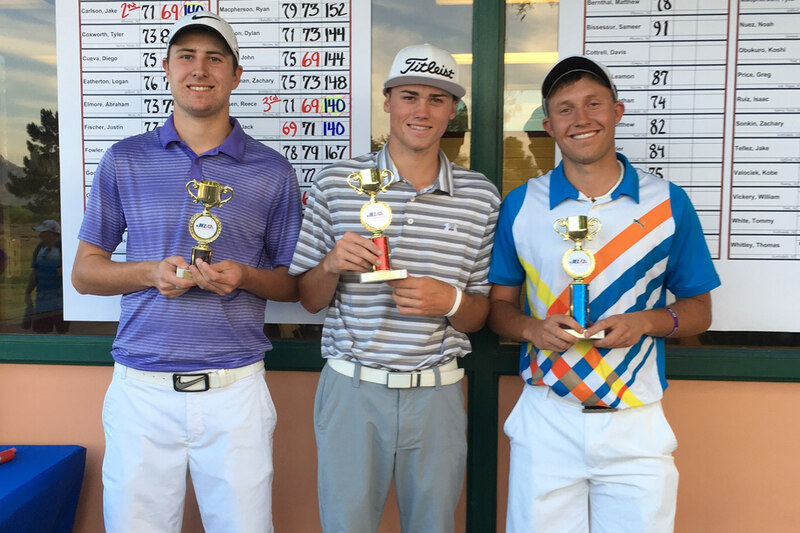 Four players finished tied for second place at 140 for the tournament – Jake Carlson of Phoenix and three Tucson residents, Reece Nilsen, Jack Picton and Dallan Graybill. Seven of the top-10 finishers were Tucson residents. In the Girls Division, Ashley Menne fired a two-over-par 72-70—142 to win by two strokes over Scottsdale’s Breyana Matthews (73-71—144). Alyza Flores of Vail and Katelyn Allen of New Mexico finished tied for third place at seven-over 147. In addition to the Championship Divisions, four other divisions (Boys and Girls) also competed. Noah Nuez of Laveen won the Boys 15-18 Division 77-70—147; Johnnie Clark of Mesa won the Boys 13-14 Division at two-under par (71-67—138); Barrett Bowers of Scottsdale won the Boys 11-12 Division (38-38—76); and Brennan Korn (36-38—74) of Phoenix won the Boys 10 and Under Division. 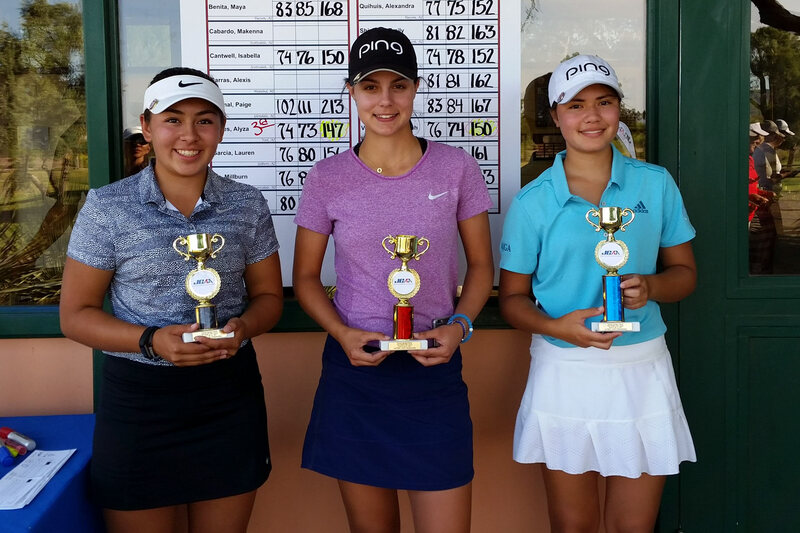 On the Girls side, Reyna Hernandez of Gilbert won the Girls 15-18 Division (84-73—157); Kendall Todd of Goodyear won the Girls 13-14 Division (75-71—146); and Brooke McGlasson of Peoria took the Girls 11-12 Division (43-41—84). The Tucson Conquistadores Spring Classic, one of the annual highlights on the JGAA’s schedule, teed off for the 25th time April 22-23 featuring 129 of Arizona’s best junior golfers (boys and girls) ages 8-18 competing in the tournament. Silverbell Golf Course hosted the event. Since its inception in 1962, the Tucson Conquistadores civic group has raised $29 million for young athletes. The group has an active membership of 200 business and professional men who represent a cross-section of the Tucson community. Professional golf has been the primary source for the Conquistadores’ fundraising success. The Conquistadores currently sponsor the Tucson Conquistadores Classic, an Official PGA TOUR Champions Tour event staged in March. Proceeds benefit The First Tee of Tucson, Boys and Girls Clubs, YMCA, Pima County Special Olympics, the JGAA and dozens of youth sports teams and events throughout Southern Arizona. To learn more about the Tucson Conquistadores, visit http://www.TucsonConquistadores.com/ or call 520.571.0400.